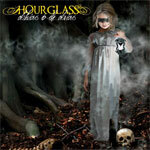 Utah based progressive rock band Hourglass never does anything half way, or half-hearted for that matter. Oblivious To The Obvious is a monumental, nearly 140 minute, double disc prog tour-de-force more than four years in the making. You would expect a work of this magnitude from a Dream Theater, Symphony X or Porcupine Tree and not from a relatively obscure band which is mostly known only in prog circles. Oblivious To The Obvious is an album that should be listened to as a whole or at least one CD at a time. Otherwise, with bathroom and beverage breaks, you're committing as much time as watching the last act of The Lord Of The Rings, The Return Of The King. For review, this is a work that could either have brief remarks or a lengthy essay; as with the scope of Hourglass's feat, there is no in between. Looks like it's going to be the latter. Without question, if you're willing to make the commitment to the time, Oblivious To The Obvious is a rewarding listen. There are generous amounts of creative music that travels the spectrum of progressive rock to metal. I found the most enjoyable and inspired moments to be an amalgam that could only be described, in general terms, as rock fusion. In this matter, 'Pawn II,' '38th Floor,' and 'Facade' have moments of brilliance. Yet, the lighter moments, as on 'Homeward Bound' or 'Estranged' are equally inspired because they are less grandiose and indulgent. Actually, the least enjoyable and most obtuse songs were the ones that pressed toward progressive metal as 'On The Brink,' a piece as dark and heavy as the lyrics, or 'Skeletons,' a mostly slow and plodding song. But, for pure, creative and evolved progressive rock, Hourglass is untouchable on the aforementioned 'Pawn II,' the instrumentals 'Delirium' and 'Redemption,' part five of the title track. Negatively, and this is a difficult matter, I found the lyrical content to be often startlingly despondent and despairing. 'On The Brink' is quite depressing in prose and music: it nearly put me off from listening to the rest of the album. Also, I'm hoping part one of Oblivious To The Obvious, 'No Chance,' is not autobiographical because, if so, our author has some serious parental issues to face. Finally, I would also question the length of this work. Without doubt, I did enjoy my trip through Oblivious To The Obvious and found it rewarding. Yet, by the time I entered into the second CD, I had nearly forgotten what I heard before. (Good thing, as a reviewer, I take notes!) But, frankly, this is a listen that others might find daunting and, because of this, be put off. Possibly, and just thinking out loud here, could Oblivious To The Obvious been halved? Maybe not, for there appears to be a singular theme and current within to make this a concept album (though no indication is given in press material, on the website, or on the CD sleeve). Still, I wonder if it is simply too much. Hourglass's Oblivious To The Obvious is an epic work of progressive rock if only for its 139 minute length. Yet, within there's a breadth and depth of inspired musicianship that make Oblivious To The Obvious a rewarding, but lengthy, journey for the true fan of progressive music. Otherwise, the novice or impatient will probably be put off.